Facility maintenance software utilities are extra useful components that extend this CMMS software program beyond the normal capabilities of CMMS. There are several powerful utilities in MaintSmart facility maintenance software as part of the basic complete software package. Additionally, the list of standard components below are not found in any other CMMS as a standard feature. Maintenance scheduling software (print or email). OPC compliant connectivity to equipment. Drag and drop preventive maintenance. Multi-plant (top-level of equipment hierarchy name it whatever you want: "Plant", "College", "Hospital", etc.) capability. Three (3) dimensional equipment hierarchy for unsurpassed filtering. 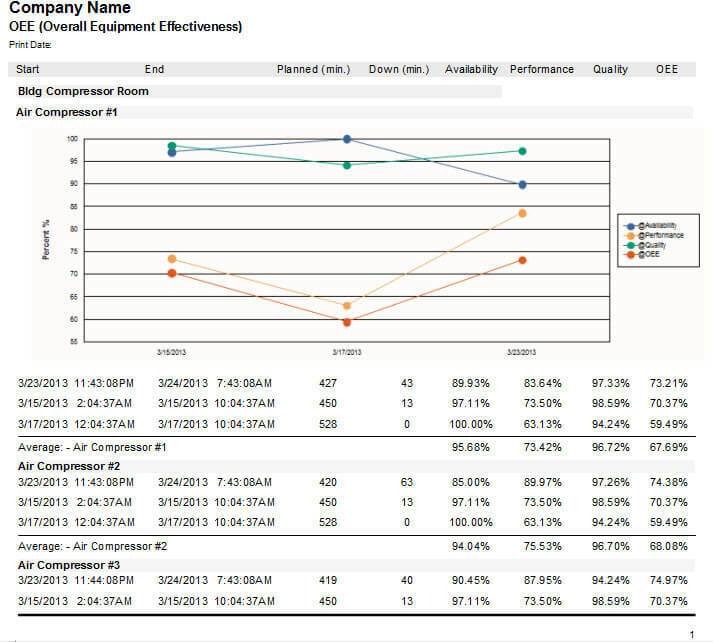 OEE software module (Overall Equipment Effectiveness). 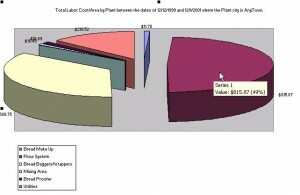 Drag and drop analysis report and chart builder. Extensive role-based permissions. Consequently, all personnel can access the facility maintenance software at some level. 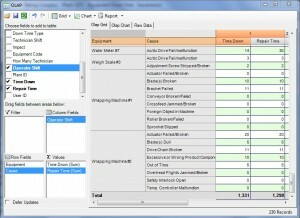 OLE automation interface to Microsoft Excel connects CMMS data directly to Excel. To illustrate, below are details of some of these listed items. For more information on any of these or a personal online demonstration contact us. Get Your Free Personalized Consultation! 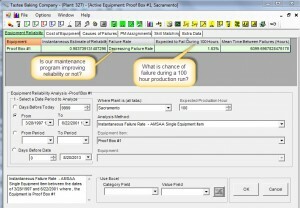 The basic facility maintenance software package includes an automatic print and email scheduler. This component uses custom user-defined reports that include floating date ranges and combine the report with a user defined schedule. The result is, reporting by printer and/or email that is automatic and perpetual. Furthermore, these print jobs only need to created once then reset their next print date and time automatically. Best of all, the facility maintenance software program handles all the details behind the scenes so that the maintenance manager can use his valuable time on other tasks. Equipment data (OPC compliant data) links from programmable logic controllers (PLC) and human-machine interfaces (HMI) on the plant floor update meters in the CMMS database automatically. Next, a work order generates automatically from a work order template one of these meters reaches a user-defined threshold . Additionally, this work order may include an attached parts list, unlimited details and unlimited file attachments. If sent to a printer the file attachments open the program associated with the file attachment. For example, if the file has a ".doc" extension then MS Word would open , issue a print command to MS Word then close the MS Word. All of this occurs without any user input or effort. 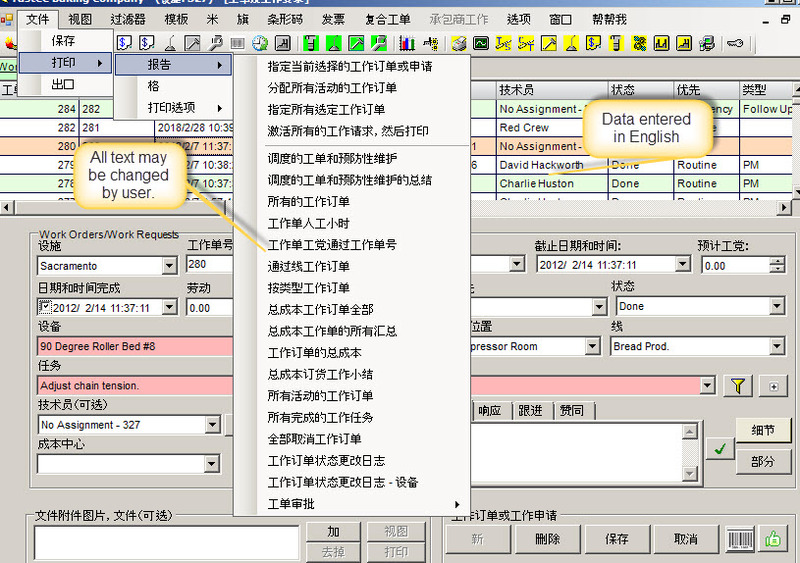 The translator module in the facility maintenance software basic package provides an intuitive interface for translating all screen text, messages and report literal text to any language. Moreover, this include double-byte character languages such as Chinese and Arabic. As such, many manufacturing, power generation and facilities worldwide use MaintSmart CMMS software. For example, forty gas-powered electrical turbine stations in Iraq use the software in the Arabic language. Facility Maintenance Software Role-Based Access. Three (3) Dimensional Equipment Hierarchy for Unsurpassed Filters. Add unlimited translation to our maintenance software solution. 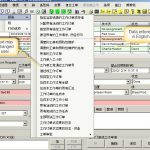 Furthermore, multiple English translations give the software user the ability to create custom text for all literal text in the program. Conversely, international users prefer translation to their native language. For example, one of our heavy international users include Iraq's Ministry of Electricity. In 2013 members of our team went to Amman, Jordan for 5 days of training for forty Iraqi electrical engineers. 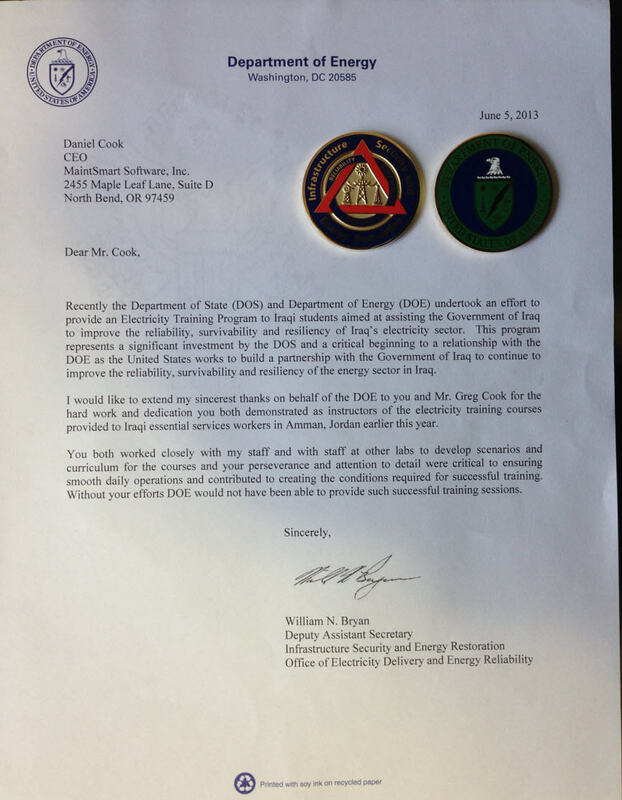 This was on behalf of a United States Department of Energy contract. Additionally, we have resellers in several countries outside the USA such as Russia, the Philippines and Egypt. 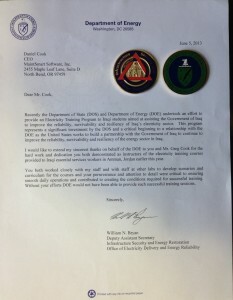 AMSAA Military Standard Reliability Analysis. This CMMS system works for any maintenance application. Why wait? Get your personalized free consultation, demo and training now! Free 30-day trial of complete software program too. The online analytical processing (OLAP) report and chart builder builds drag and drop charts and data analysis scenarios, including data cubes, so easily a child could use it. Save date sensitive OLAP scenarios for later use. 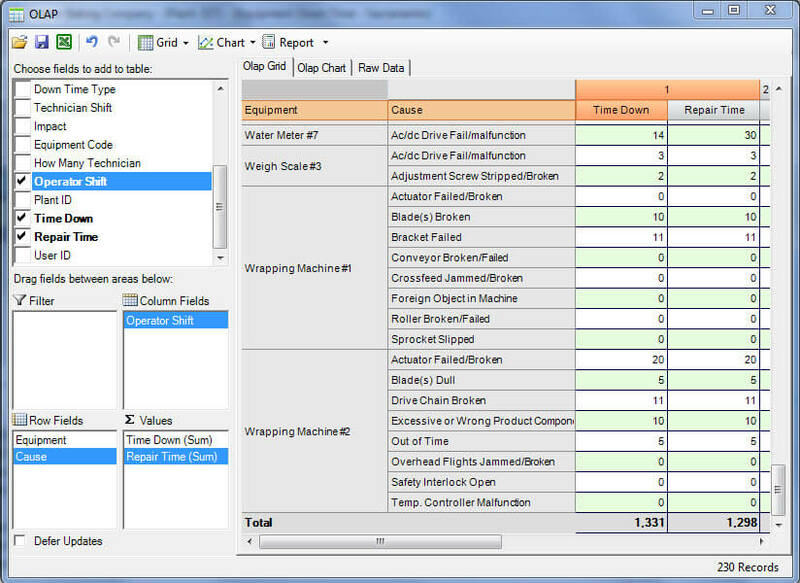 Additionally, export all CMMS data to Excel with two-button clicks. Best of all, the software simultaneously creates a chart with statistics with no extra user effort. 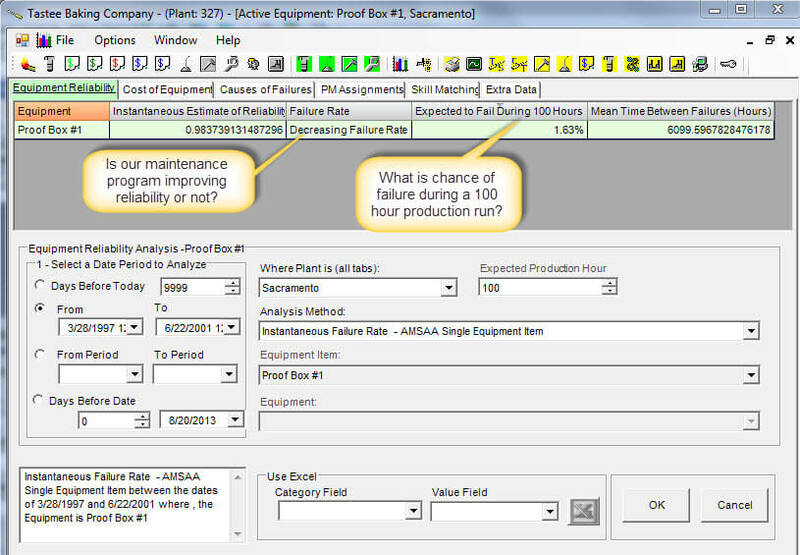 This is the only facility maintenance software that has a reliability analysis module. 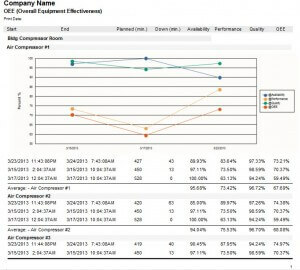 Furthermore, the reliability analysis software module measures MTBF and failure rate. Failure rate is the likelihood of an equipment failing during a specified run time period. Use MTBF (mean time between failure) to advise the maintenance planner of appropriate preventive maintenance task intervals. Moreover, these task interval adjustments circumvent equipment failures based upon real data.